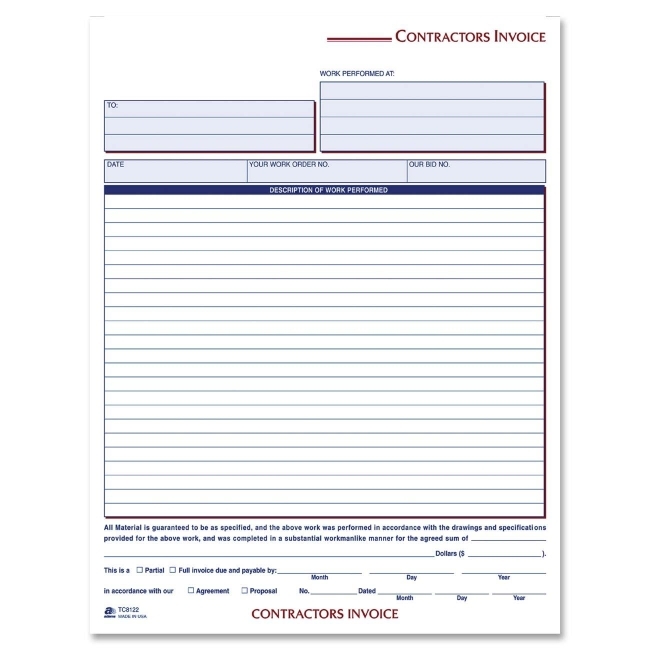 Contractors invoice book contains three part carbonless sets with a white, canary and pink paper sequence. 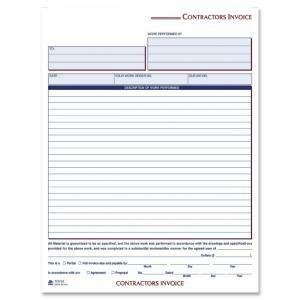 Each form has space at the top for your company stamp. Other preprinted spaces designate where to fill in "To", "Work Performed at", date, work order number, description of work performed, agreement terms, project cost, deadline date and the kind of arrangement (agreement or proposal). 50 sets per book.